Serving St. Paul, Minneapolis, the greater Twin Cities metro, and Minnesota! 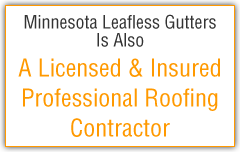 Fill out the form below and someone from MN Leafless Gutters will contact you shortly. Address: 405 Annapolis St W.